This classical, well tailored collection of living room furniture is bench-made by local craftsmen, to deliver an enviable level of quality and detail. Its neat, slim arms are subtlety piped to enhance their appeal and are perfectly complemented by its stylish tapered legs, with the option of quality polished metal castors or plain finish. 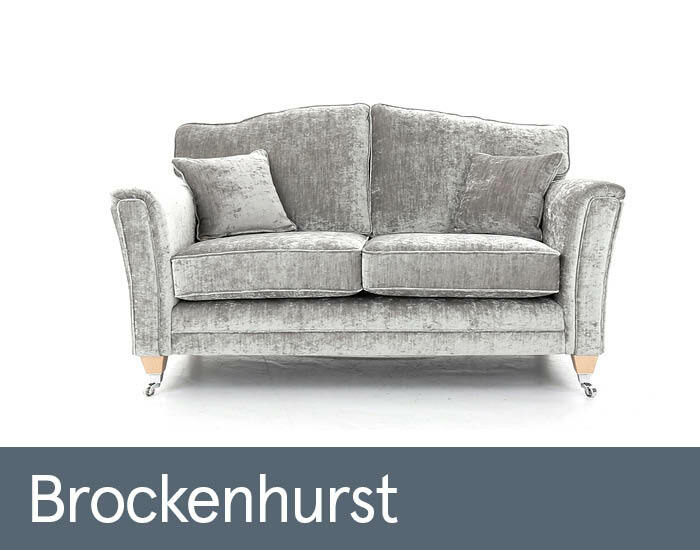 Brockenhurst is available in a generous choice of quality coordinated fabrics – in patterns, stripes or plains. Whether you want soft tactile chenilles or robust weaves, there’ll be one to match your needs. Complimentary scatter cushions on each sofa, allowing you to contrast or blend in with your chosen main fabric as well as enhancing your comfort and support.